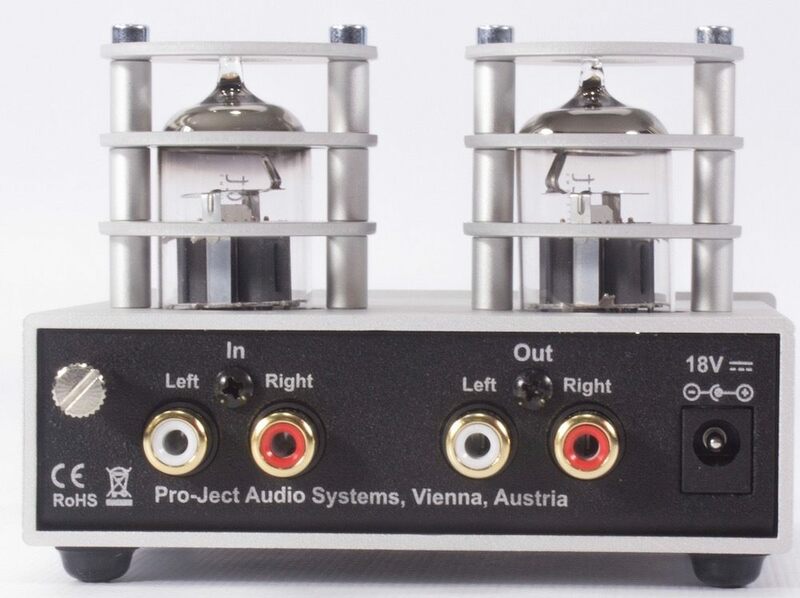 After the unquestionable success of the small Pro-Ject Tube Box S phono preamplifier, the Austrian manufacturer offers a newer version of its best seller. 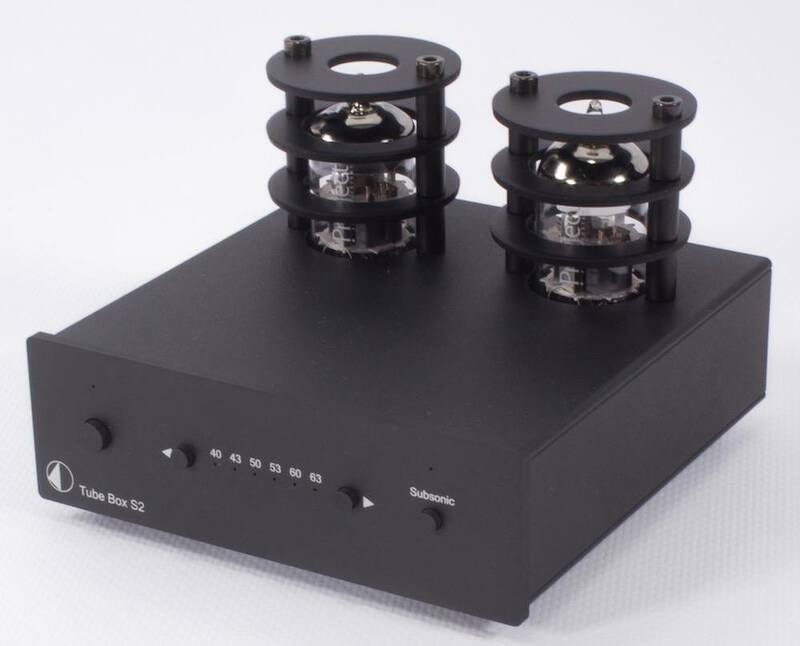 At first sight, the Pro-Ject Tube Box S2 phono preamplifier is not very different from its predecessor. However, one that has an eye for detail can immediately remark that the chassis has been changed. Indeed, the previous version had a brushed aluminium front panel (black or natural) mounted on a gray steel chassis. 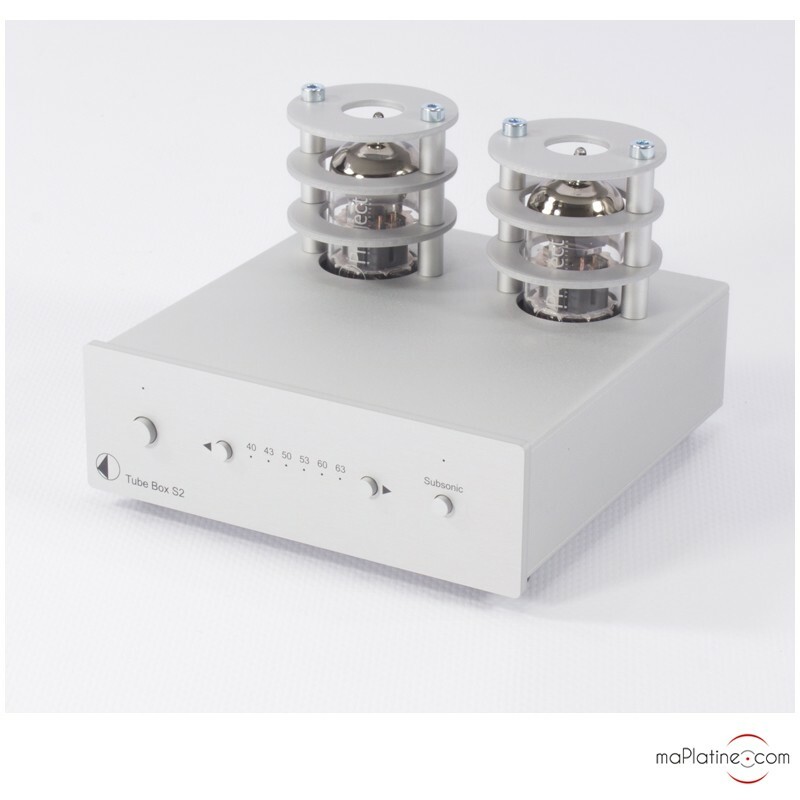 Instead, the Pro-Ject Tube Box S2 phono preamplifier has an anodized chassis made out of an aluminium sandwich. Therefore, it appears as a higher end aspect, which provides a better immunity against radio waves and electromagnetic perturbations. 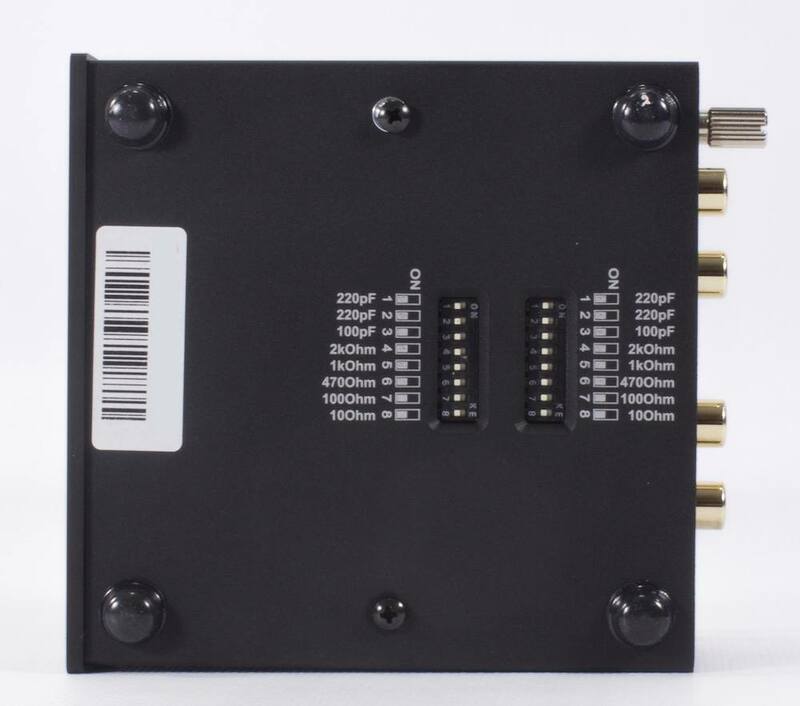 The front panel has a power up button, as well as a button which enables to launch the subsonic filter (20hz with 12 dB/octave). 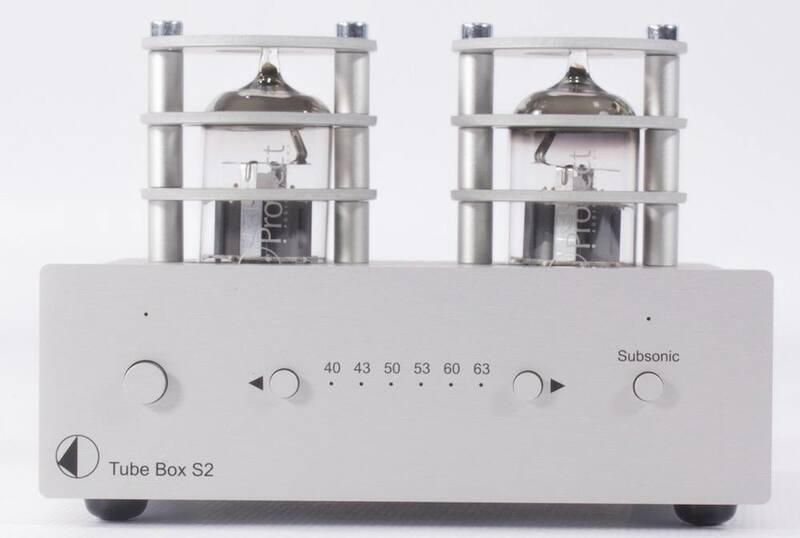 Compared to the old Tube Box S, there are 2 switches on the front panel which make it possible to select the 6 gain values (40, 43, 50, 53, 60, 63dB). 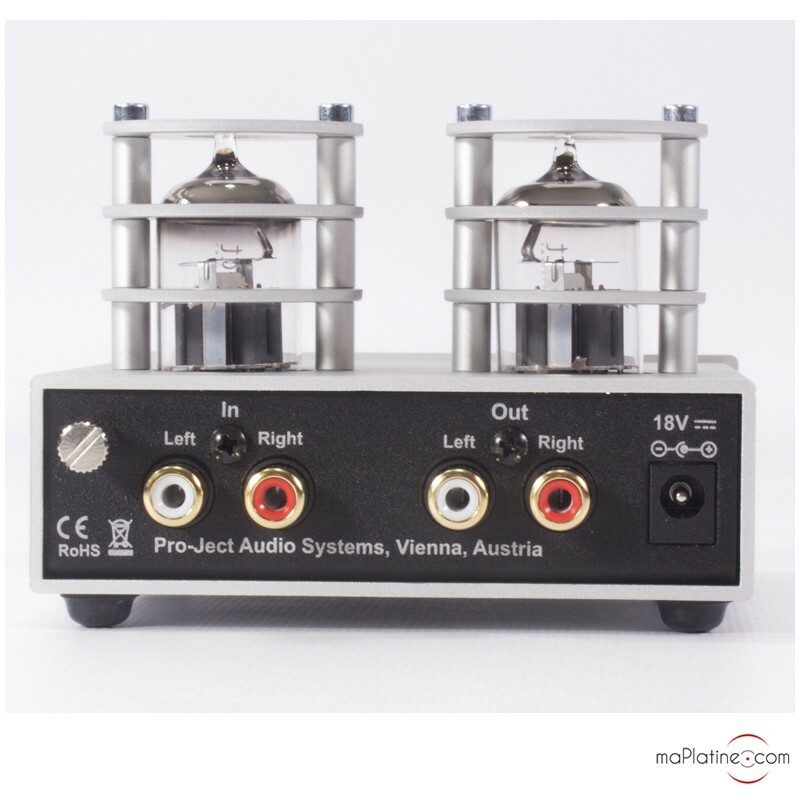 A part of the gain is obtained by ECC83/12AX7 tubes (one per channel). 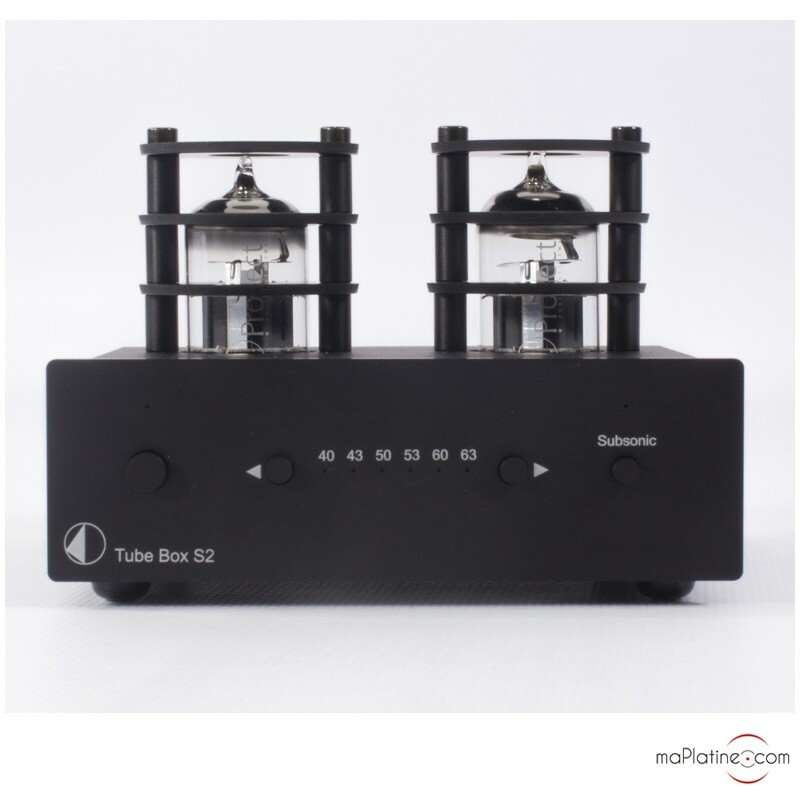 These tubes are replaceable by multiple models of different manufacturers to modify the sound of the preamplifier according to the tastes of each individual. 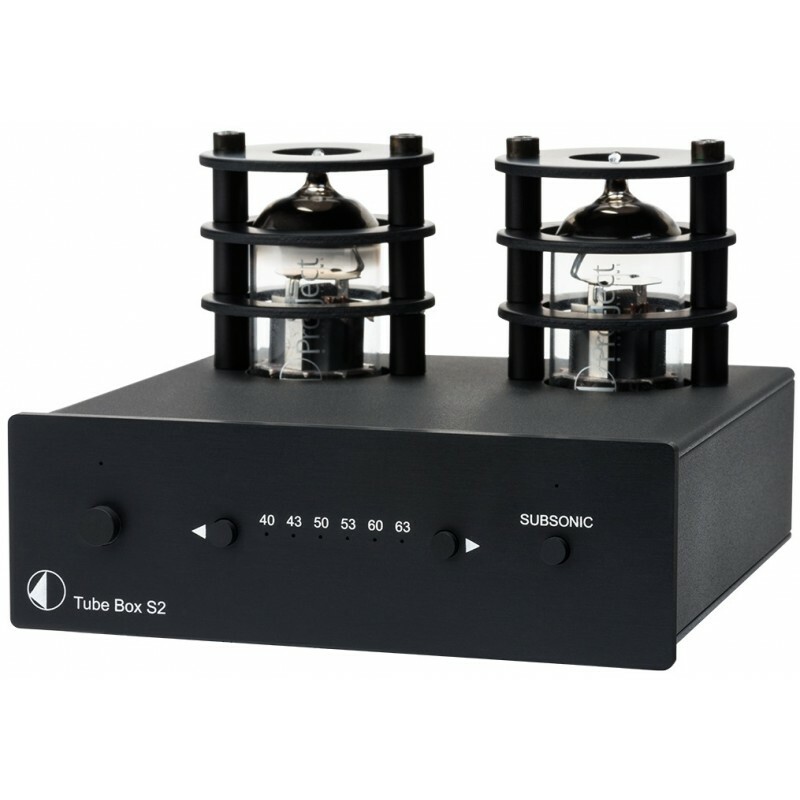 Its adjustable gains, load resistance, and load capacitance values make it possible to combine this Pro-Ject Tube Box S2 with multiple high end MM and MC cartridges. Indeed, the Pro-Ject Tube Box S2 phono preamplifier is totally compatible with all MM cartridges and the majority of moving coil cartridges. 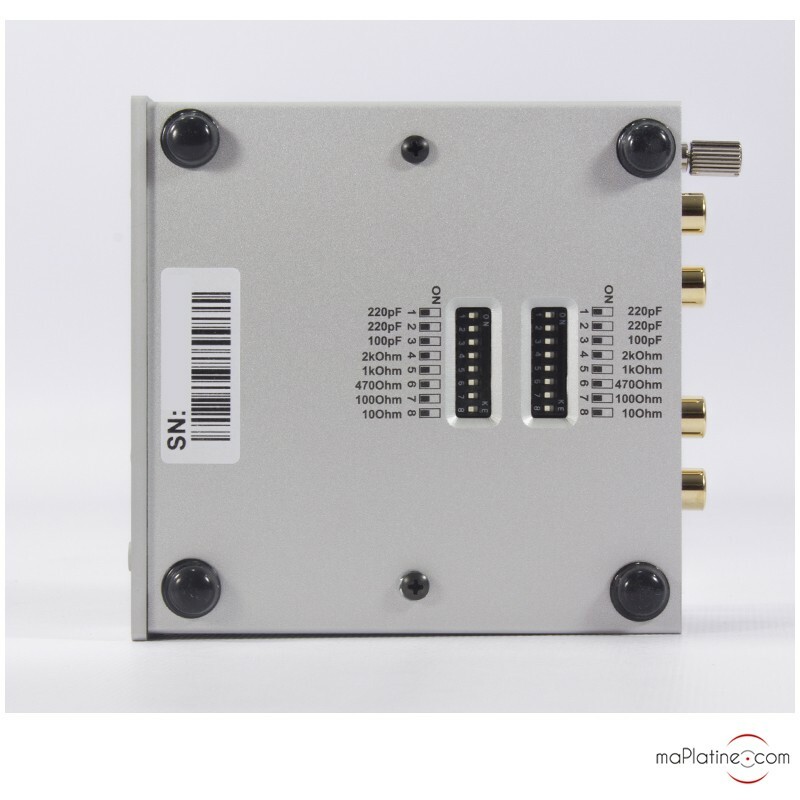 On the back of the Pro-Ject Tube Box S2 phono preamplifier there are RCA inputs and outputs as well as a knob for the connexion of the mass. The internal architecture is totally double mono, which makes it possible to obtain a more precise stereo reproduction and soundstage. The RIAA correction is made around a double circuit. One part is active and the other is totally passive. 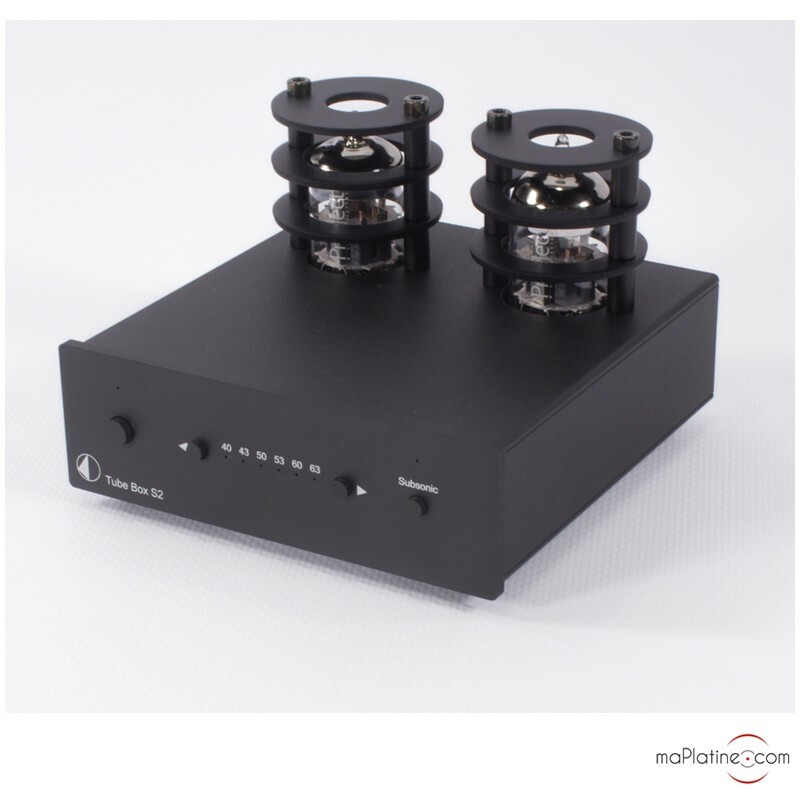 The Pro-Ject Tube Box S2 phono stage is the first to be totally designed out of discrete components. 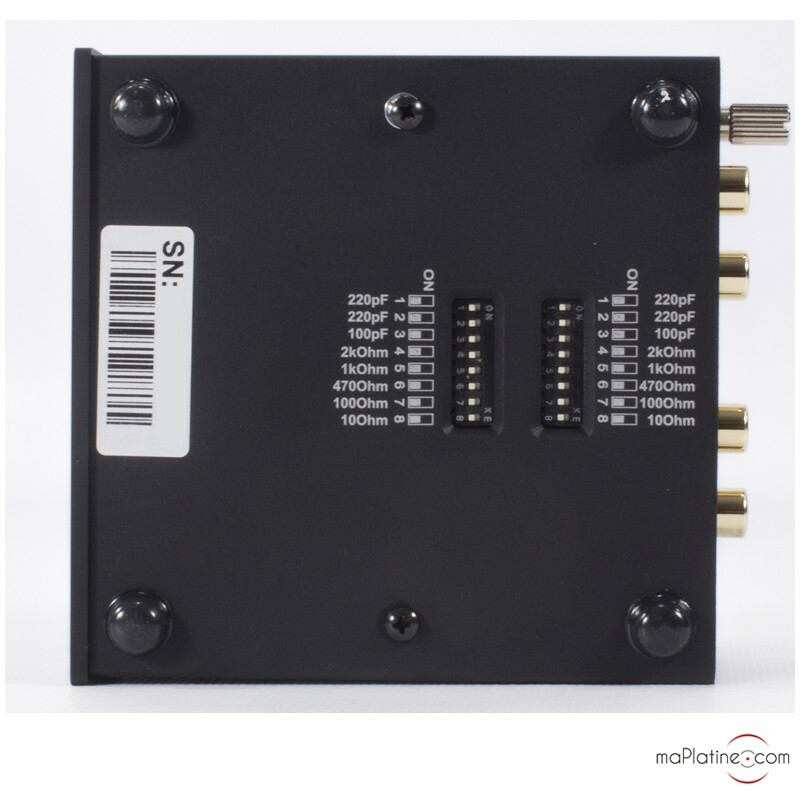 Pro-Ject has not used any integrated circuits (Ops amplifiers). “Fet” transistors dedicated to the input circuit have been chosen for their weak noise and absence of distortion. All the condensers are out of Styroflex technology. No chemical capacitance was used on the audio signal path. The Pro-Ject Tube Box S2 phono preamplifier is powered by an external power supply which supplies a direct current of 18 V. There is no need of a rectifying circuit or filter circuit. 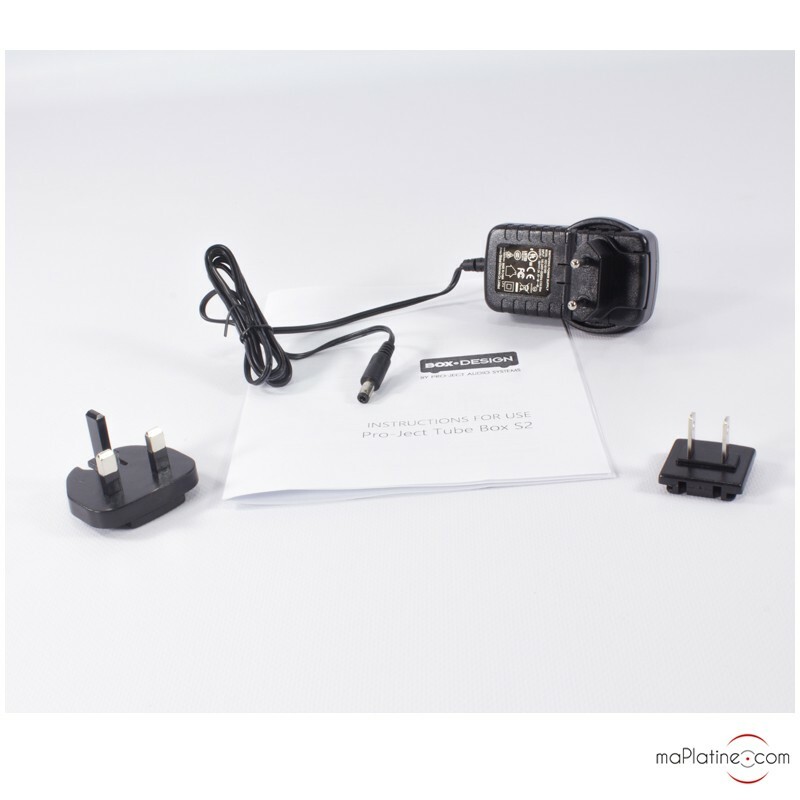 However, several voltages are internally treated which are regulated for the different parts of the circuit. 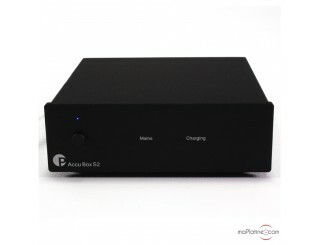 The opening bars of this Pro-Ject Tube Box S2 phono preamplifier are relatively significant. Like its predecessor, there is a good timber quality and definition. But the global transparency as well as the precision of the soundstage have been largely improved. 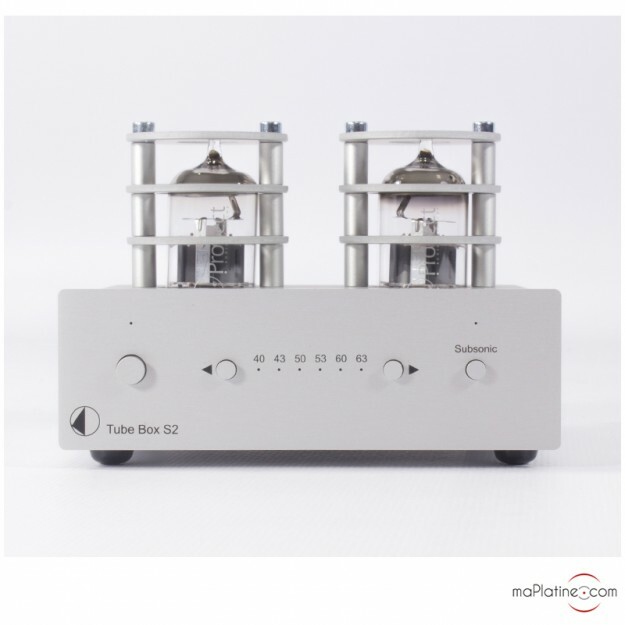 The Pro-Ject Tube Box S2 phono preamplifier demonstrates authority with a lot of nuances and finesse when it is necessary. There is no frustration nor any aggressiveness without any limits in the high spectrum. 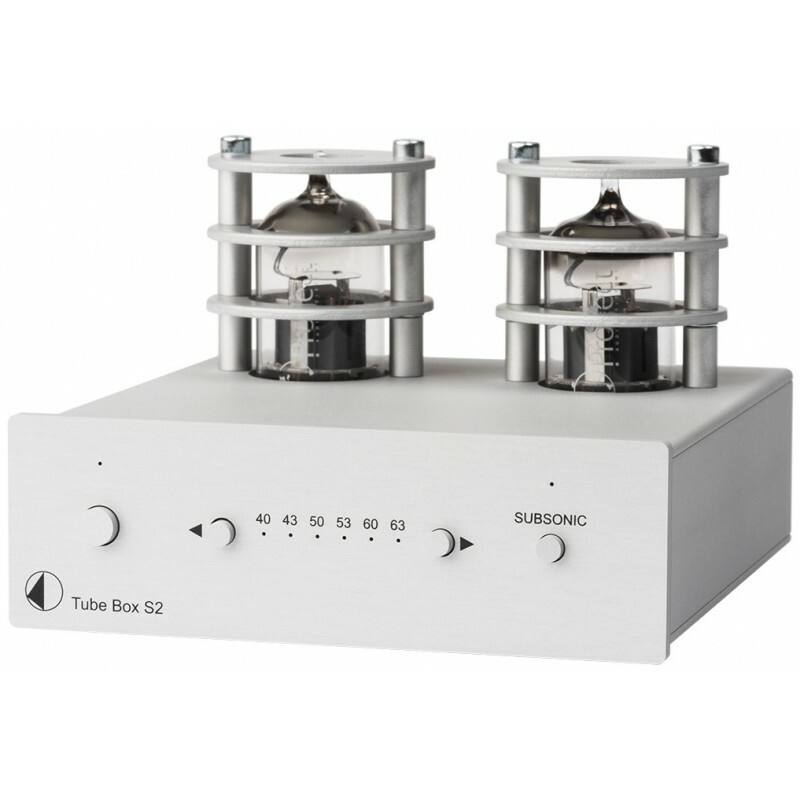 In terms of timber and harmony, the tubes perfectly play their parts without adding any coloration as this is often the case on this type of device. 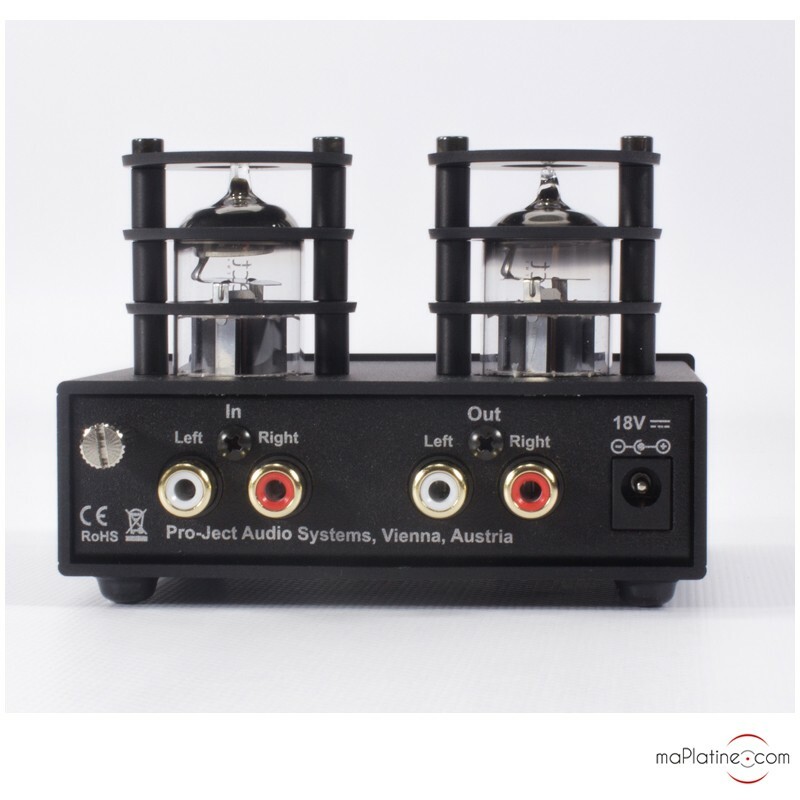 The installation and setting of this phono stage is simple as long as you know the characteristics of the phono cartridge. We highly recommend to wait at least 10 minutes after the power up of the device to appreciate` its qualities. Careful not to increase the gain too much to try to obtain the same level as a digital source as the results will be an aggressive sound and maybe even a few distortions. 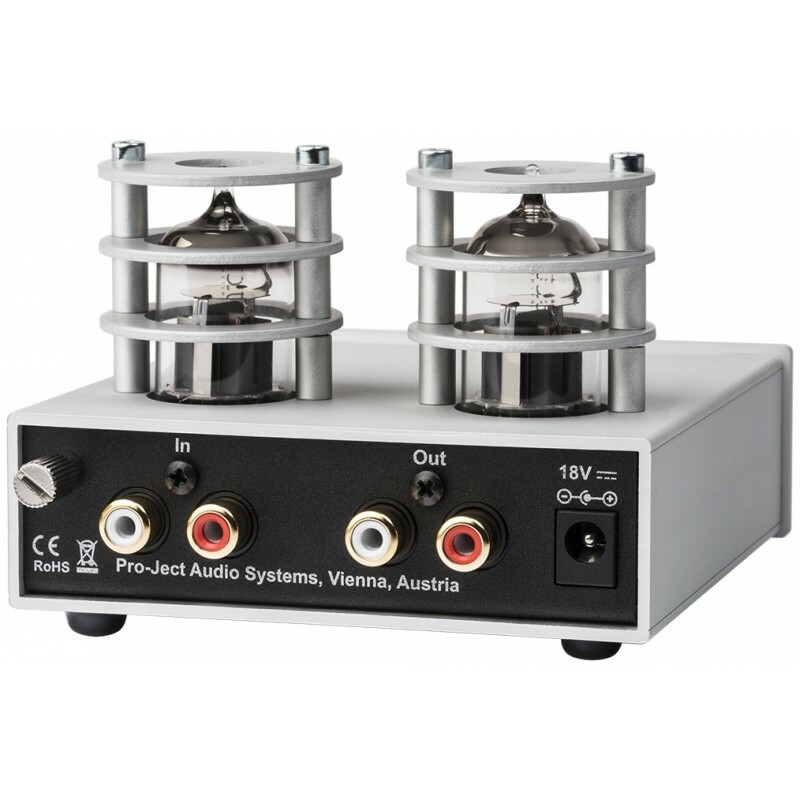 The Pro-Ject Tube Box S2 phono preamplifier is currently the best seller. 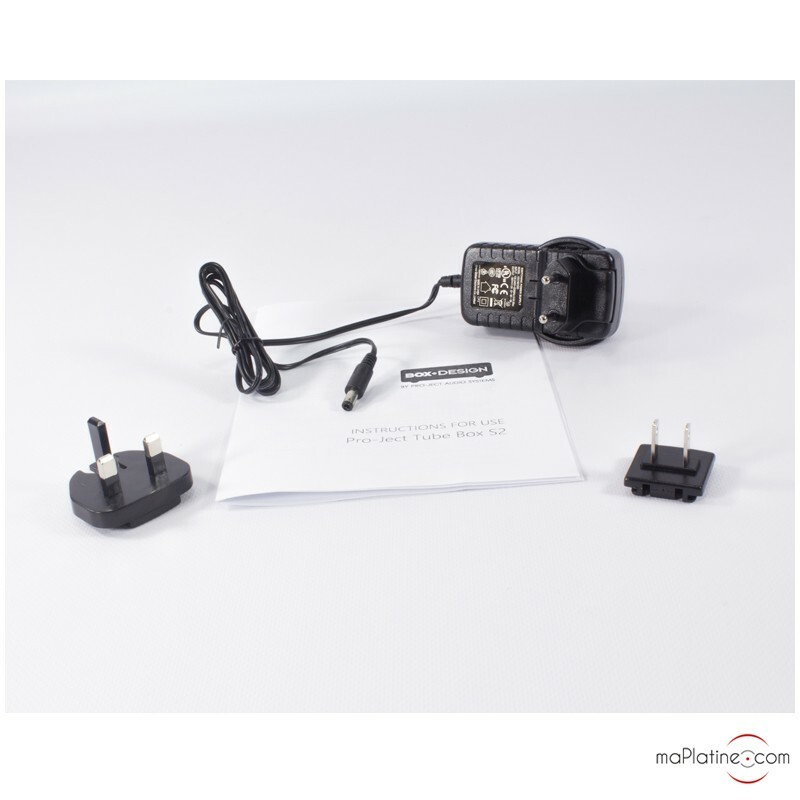 It is a quality product and provides the same results as devices that are worth twice as much. This product is our top pick!